Did you know February is Teen Dating Violence Awareness Month (TDVAM)? During the month of February, organizations are inviting people to work together to raise awareness of teen dating abuse, which is more common than most people think. The cold hard truth is that one out of three teens experience physical and/or sexual violence that is perpetrated by someone they are dating (loveisrespect.org). Organizations like PADV are here to help by equipping teens and their caretakers with the information to help prevent teen dating violence. To learn more about TDVAM, visit loveisrespect.org. 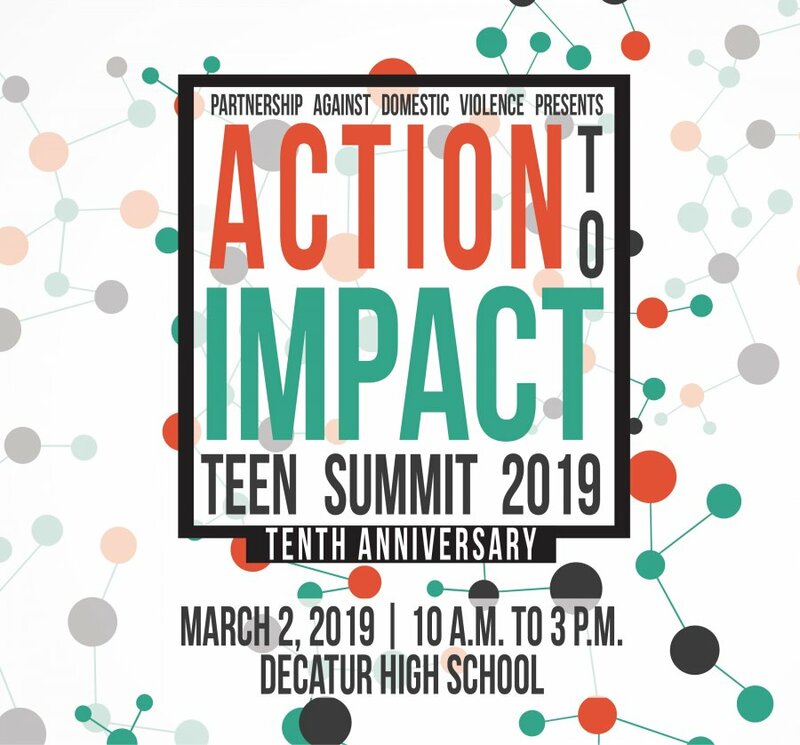 In support of TDVAM, PADV is hosting its 10th annual Teen Summit on March 2 from 10 a.m. to 3 p.m. at Decatur High school. This event will give people the opportunity to boost their confidence and skills to respond safely and effectively as a bystander of teen dating abuse. This year’s theme is “Action to Impact,” where PADV will teach attendees how to turn actions against dating violence into an impact that will affect their community. Celebrate the 10th anniversary of Teen Summit. Gain invaluable knowledge on preventing dating violence. Meet new people with similar interests and make long-time friends – it’s a community bonding experience for a cause. Start and grow conversations between adults and youth about teen dating violence and how youth and adults can effectively partner to address this epidemic! Learn healthy relationship tips and important skills that are needed before you begin dating. Express your creativity with vision boards, poetry and more in the Teens Against Dating Violence Advisory Board’s Self-Love workshop. Learn how to be an effective bystander and how to safely intervene if a friend or peer is experiencing dating abuse. Express yourself across speak out stations and get published by Vox Teen Communications! Learn how to get involved in the Teens Against Dating Violence Advisory Board. It’s fun, high-energy, and teen-led! !